Lizardo, the immortal evil nemesis of Panday comes back from the world of darkness to once again bring havoc to the human race. With Flavio III not knowing that his bloodline is the only one capable of destroying Lizardo, he will have to scour different worlds to be able to gain the trust of the mythical power of the legendary sword. Ang Panday is directed by Coco Martin himself and Rodel Nacianceno under CCM Productions, Star CInema and Viva Films. The 2017 Version of Ang Panday is a good attempt to create a modern and contemporary spin-off to this iconic Pinoy Superhero figure that is somehow apt to the taste of Filipino moviegoers nowadays. Aside from the tried and tested Coco Martin Blockbuster Magic, Ang Panday’s success is mostly attributed to its very dynamic storytelling technique and interpretation of the whole Panday Franchise. The Director successfully staged the 3rd Generation of Flavio set in the present times. With this approach, much of the scenes were shot in the City specifically in Tondo, Manila. The movie gave a realistic feel since it has several scenes shot around Metro Manila. For me, its a good move since they are trying to set Flavio in the modern times. What I like about Ang Panday is its Cinematography and Visual Editing too. They have very impressive action sequences especially those man-to-man fights of Flavio. They also have a good production design especially during the “Magical World” exploration. I really commend the camera angles too during Flavio’s Training and the Climax Fight of him and Lizardo. Overall, it was a breakthrough film in terms of the Fantasy formula. I can see the tremendous amount of effort to delivery a quality film. The movie also has several talented cast. Coco Martin is worth it to become the next modern Panday. His charisma is more than enough actually. Coco was able to portray well a modern Flavio that has the right mixture of cheerfulness and angst as well. The spotlight for Ang Panday is also given to Jake Cuenca in his portrayal as Lizardo. He is by far the best villain in the franchise offering a more stylish yet annoying aura of an evil and wicked Pinoy villain. My most favorite scenes in the movie are the Training of Flavio (though it is really short) and the Climax Fight scenes of Lizardo and Flavion in the desert. If you are in for some thrilling adventure flick, Ang Panday must be in your bucket list this MMFF 2017. At some point, I missed the “CLASSIC FEELS” of Ang Panday so I have a little setback with the recent adaptation from Star Cinema and Viva Films. But then again, I try to understand that with the advent of a modern and contemporary twist, some of the elements will really be sacrificed. Ang Panday mostly fails on the narration part. I felt that this vital part of the Franchise is not executed-well. Moreover, the film is also too crowded with lots of unnecessary characters. I find it sometimes chaotic. I am quite disappointed with the leading lady – Mariel del Leon. She was giving a lackluster performance that is somehow dragging some vital scenes with the main characters, Despite a good cinematography, I find the Audio and dubbing a little bit off at majority of the film’s running time. Visual-wise, I still hope for improvements if there will be a follow-up movie. I mean, it has good visuals already but there are so many rooms for improvements here. Overall, Ang Panday is still a good choice for this year’s Metro Manila Film Festival. 12 is a story of Anton and Erika, a couple who has been together for 12 years. The story will evolve into their lives as they struggle to cope up with various problems and hurdles in their relationship especially living together in one roof. 12 is directed by Dondon Santos under Viva Films. 12 took a lot of risk in its storytelling and cinematography. For me, the risk was worth it. What I like about the movie is its bold approach in investing more from a conversational formula alongside a secluded setting and a very relatable conflict material specifically made for long-term couples undergoing certain issues in their relationship. It is just raw and affecting. Raw in the sense that the conflict material is their. Also, there were less backstory hence the Director focused on two tones of the story only – the ups and downs of the relationship of Anton & Erika. What I even like is how creatively the director set the two phases of their lives through cinematic tones and production setting. Moreover, conversations are abundant yet there were all real and heartfelt. It was generally natural and raw to hear it straight from the two characters. You can easily see their emotions cutthrough effortlessly. Cinematography is impressive. I also love the timing of the Sound Engineering. There were no unnecessary flashbacks and the storyline is presented in a straightforward and on-point manner. Acting-wise, I am impressed with Alessandra and Ivan on this one. Alessandra gave a pure and raw acting performance. Ivan, despite the Fil-Am accent, was actually effective in his portrayal too. Both of them look good on-screen and chemistry is undeniably there. Overall, the movie may be melodramatic but it has some pinch of humor that flows effortlessly as the story goes by. What I love about 12 is that it brings us to a deeper understanding of some of the issues a long-term couple are experiencing. What is most admirable is the lesson it tries to impart its viewers in terms of respect and love for both ourselves and towards others. I just loved the simplicity and realism shown in the movie. For me, 12 delivered. Somehow it will really disappoint lots of viewers especially if they are expecting the story to be dynamic such as Kita Kita and the like. A big portion of some of the disappointments of the audience are largely attributed to comparing the movie from others too. Therd is no point of comparison because the movie delivered enough justice with the demand of its plot and phasing. Well as I said, watch 12 with your own risk. For me, the risk is worth it. Finally Found Someone is a story about Aprilyn who is left by her groom on the day of their wedding. That event became viral online. Devastated by the event, she met Raffy who works at a PR agency hired by the father of the groom who will help her move on. 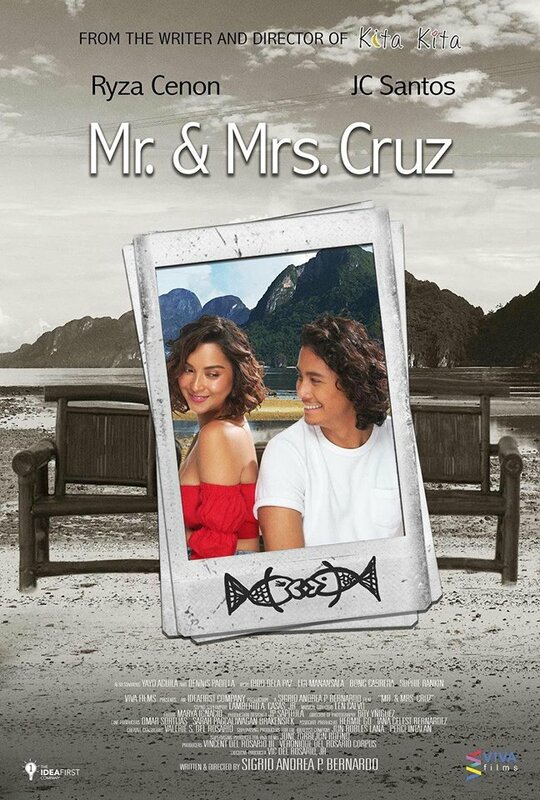 This movie is directed by Theodore Boborol under Star Cinema and Viva Films. Finally Found Someone has everything you need to expect from the hands of Star Cinema and the undeniable magic and on-screen chemistry of John Lloyd & Sarah. Truly, they are one of the best and rare loveteams in PH that really sells and hit blockbuster figures despite their conservative status on all of their films. They are just a couple with magic and charm that flawlessly manifests on screen. 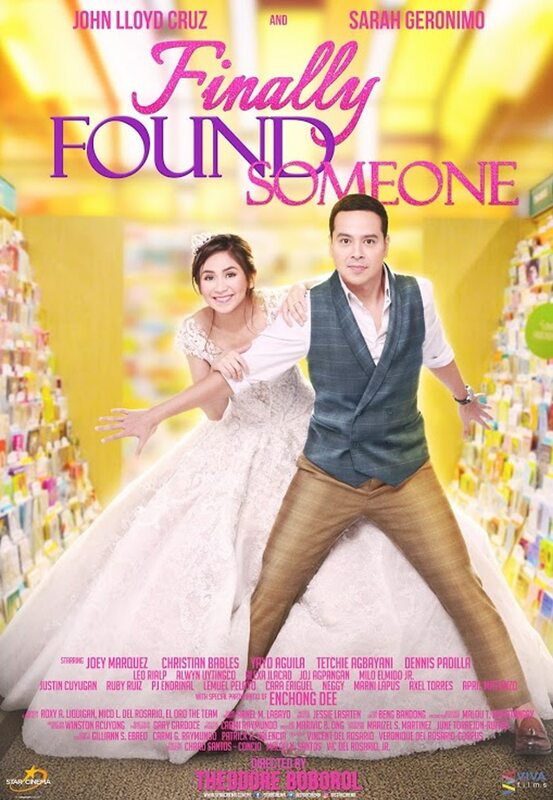 Plot-wise, it has a new take in the almost tiring Pinoy RomCom formula. This time, the plot is playing around PR industry but still involving those romantic clichés that really seems to sell in a wide variety of audience. The central plot really supported the turnaround of the story despite some inconsistencies. The general theme and phasing was good. I like the cinematography and musical scoring as a whole. Production-design fits with the storyline’s simple approach. Acting-wise, I see a much mature Sarah this time. A little bit far from Lyda Magtalas but she is mush more genuine and natural here which I really love. Lloydie on the other hand is just pure talent and charm and is really one of the reasons why you should watch the film. His strong presence and appeal really goes beyond your internal organs. JL’s smile is to live for. As a couple, there is no doubt that they still have that strong chemistry we love from their previous movies. At some point, you wished that are couples in real life. JL and Sarah effectively created that inspiring and feel-good emotions you expect from real-life couples. They were just so lovely to watch. The supporting characters were good too. I also love the formula of family values present in the movie. I am moved with JL and Tetchi scene. It was a scene with a pinch in the heart. Overall, Finally Found Someone is a pure joy to watch if you are a fan and if you don’t mind its inconsistencies and technicalities. Given a slightly new take on its plot, I expected the movie to somehow stand out from beginning to end. For me, the film was lost. It lost grip with its main plot. They could have played much intensity in the PR Industry and its conflict with the love story of the characters but the movie was consumed much on its formulaic and predictable ingredients. It could have been a new approach but it still followed the formula they believe would sell much on the public. Well, I can’t blame them. I also find a lacking character build-up with some of the casts and lacking backstory presentation. Well, still a good movie though I think that this is not their best movie.